Rightly called a witness of the twentieth century, he could remember every detail of his meetings with Mayakovsky, Gorky, Ilf and Petrov, Shostakovich … He was the oldest member of the Russian Academy of Arts (1947). 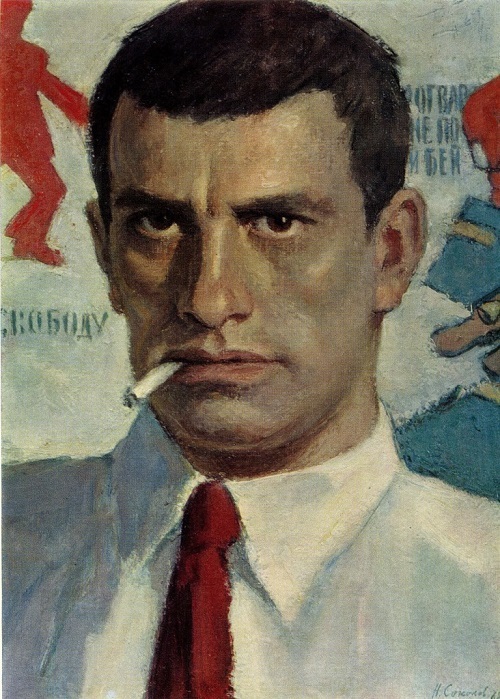 People’s Artist of the USSR (1958), Hero of Socialist Labor (1973), winner of the Lenin (1965), five of Stalin (1942, 1947, 1949 1950, 1951) and the USSR State Prize (1975), Sokolov worked in the genre of the portrait, caricature, illustrations in the style of socialist realism. 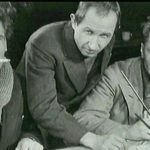 He was one of Kukryniksy, the creative team of Soviet graphic artists and painters, in which, apart from him, were full members of the USSR Academy of Arts, People’s Artist of the USSR, Heroes of Socialist Labor M.V. Kupriyanov (1903-1991), and P.N. Krylov. 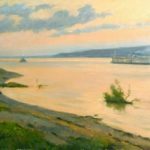 Nikolai Sokolov until the last days of his life continued to paint and retained an incredible clarity of mind. 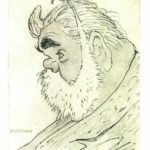 By his 95th anniversary Sokolov has released a book “Sketches from memory.” He died on the absurd randomness from complications after surgery on a broken leg. Nikolai Sokolov was born in the village of Tsaritsyno of Moscow, in a family of merchants. He was the eldest of six children, lost their early support from their father. He started working at the age of 14. 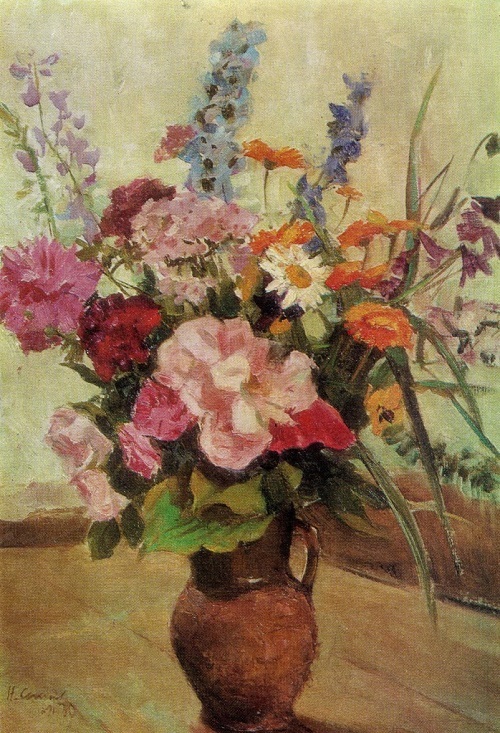 In spring of 1920 the family moved to Rybinsk (now in the Yaroslavl region), the mother’s home. There Nikolai Sokolov, working as a clerk in the Office of Water Transport, graduated from the second stage of high school. At the same time engaged in the art studio of Proletcult, he received his first professional skills in drawing and painting. After graduating from elementary school Sokolov entered the Moscow Secondary School. His classmate was Sergei Obraztsov – the future Soviet Russian actor and director of the puppet theater. 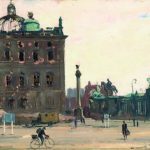 In the summer of 1923 he went to Moscow and entered the Higher Art and Technical Studios (VHUTEMAS), Printing Department. During his studies befriended M.V. Kupriyanov and P.N. 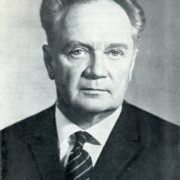 Krylov. Created in the mid-1920s creative union has existed for over 60 years, hitting its surprisingly fruitful creative longevity. The collective pseudonym Kukryniksy was made up of the first syllables of the names Kupriyanov and Krylov, and the first syllable of the name and the first letter of the surname Sokolov. 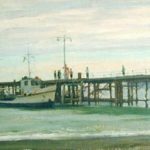 The three artists worked by collective creativity (each also worked individually – on portraits and landscapes). 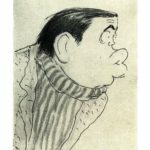 The most famous team brought numerous masterfully executed caricatures and cartoons, as well as book illustrations created in the typical style of caricature. 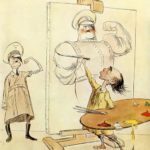 Phasing for artists were grotesque topical cartoons on the theme of domestic and international life. 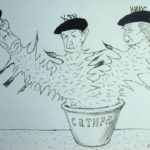 Since 1933 Kukryniksy – permanent cartoonists of the newspaper “Pravda”, making them the country’s major conductors and propagandists of (in a satirical form) the official political line. During the World War II, along with the cartoons Kukryniksy released a series of posters, among them – the first after the German invasion poster “mercilessly crush and destroy the enemy!”, 22 June 1941 – with a caricature of Hitler, and the satirical “Windows of TASS”, completed over a four-year saga in Nuremberg as correspondents of “Pravda” newspaper. 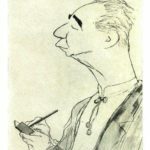 Simultaneously, since the 1920s Kukryniksy worked as illustrators, referring to works of literature with a deep understanding of the characteristics of the era depicted by the writer and language. The range of their work in this field is very wide – from the sharp grotesque graphics to lyrical pictorial images. 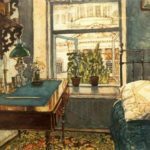 Among the illustrated were: “12 Chairs” and “The Golden Calf” by Ilf and Petrov, “The Golovlevs” and other works of Saltykov-Shchedrin, “The Lady with the Dog” and other Chekhov works, “Life of Klim Samghin,” “Foma Gordeev” and “Mother” by Gorky, “Don Quixote” by Cervantes. 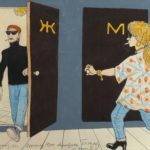 In easel painting Kukryniksy also set themselves the task of great political sound, creatively developing the traditions of Russian realistic art, and sometimes using certain techniques of satirical graphics. 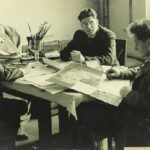 They appeal to the historical subjects, a significant place was given to the theme of heroism of the Soviet people during the Great Patriotic War. The team was awarded the Lenin Prize (1965), the Stalin Prize (1942, 1947, 1949, 1950, 1951), the USSR State Prize (1975), awarded the gold medal of the World Exhibition in Paris (1937) and Brussels (1958) and many other awards. 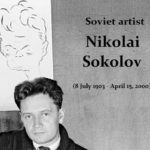 Soviet artist Nikolai Sokolov died April 15, 2000. 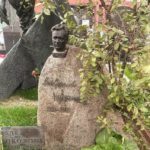 He was buried in Moscow at the Novodevichy cemetery.